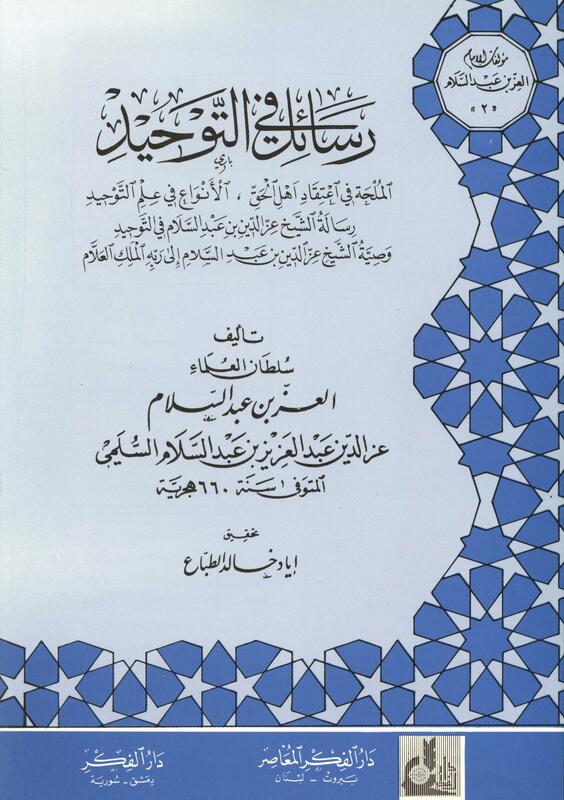 The following is a small set of short works by the great Imam ‘Izz al-Din ‘Abd al-Salam on the issue of tawhid and in response to certain scholars of his time who had “Hashawi” inclinations and had exerted significant influence upon the then governor of Egypt. These four treatises included in this short book of less than fifty pages serve as a presentation of the Imam’s views on true tawhid and the sound approach to the contentious issue of Allah’s speech and sound (sawt). The treatises (the first being al-Milhah fi I’tiqad Ahl al-Haqq) also serves as a defence from false accusations that had been hurled against him.